We scan your vehicle’s on-board computer using state of the art equipment and document the diagnostic trouble code(s) (DTC) and code description(s) for you. Having known what the trouble code is, we go further to interpret and pin point the cause of the problem; we can then run further tests to isolate problem areas. Then we relate this to you in a simple understandable way. Have you lost your original programmed key? Or do you just want to programme a spare to work with your vehicle? We can programme your car to learn the new key and add it to the functional keys for your vehicle. Are you concerned a lost key might be in the wrong hands? We can also wipe the key from your car’s memory and programme only the allowed keys on. This is when we can really empower you to have the control over what is to be fixed on your car. We will advise you as to the specifics of the repair, we can recommend part or even a mechanic to use. 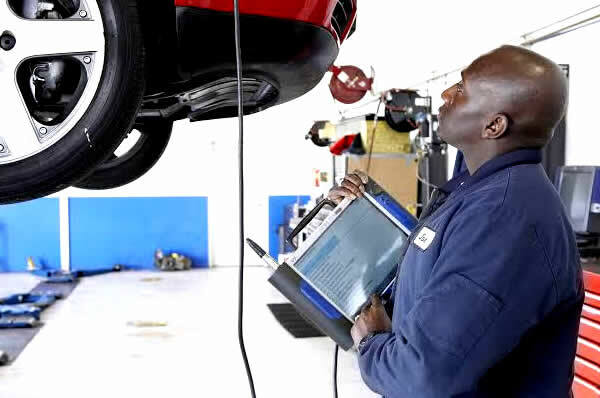 This is especially important when the technician to perform the repair is not conversant with that particular car or you want to perform the repair job yourself.